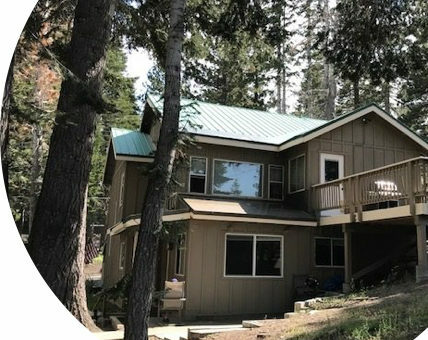 In the face of a difficult housing market, many local businesses in Mammoth Lakes are taking employee housing into their own hands. Along with big players like Mammoth Mountain and the hospital, smaller local busi- nesses have begun investing in property to ensure their employees have a place to live. Colin Fernie of Black Tie Ski Rentals partnered with Shields and Kathy Richard- son of the Side Door Cafe to purchase employee hous- ing in November 2017. The partnership purchased a triplex that currently houses nine employees from the two businesses. Fortunately, Fernie had a spot for Leonard in the house that he and the Richardsons owned. Leonard has moved in for the season, with the possibility of extending his lease. Silver Chesak, co-owner of Footloose Sports, said that Footloose owns a trailer for housing employees on a short term basis. “The biggest impediment to hiring new employees is that they can’t find housing,” Chesak said. When Footloose needs to hire new employees for the busy season, or retain year round-staff when they lose their housing, Footloose will rent them the trailer at below market rate.